Good Wednesday morning (afternoon, evening, whatever considering your time zone). It's time once again to discuss our writerly miseries and triumphs. A big huzzah to Ninja Capitan Alex Cavanaugh and the super-dooper co-hosts: Tamara Narayan, Patsy Collins, M.J. Fifield,and Nicohle Christopherson! This week's probing question: Have you ever pulled out a really old story and reworked it? Did it work out? Answer: Nope. Due to several bad habits, I can't even finished my current to-do list. I might be spinning my wheels, but at least somebody in the family is writing some good stuff. My daughter was assigned a book project in which she wrote several journal entries from the main character's point of view. 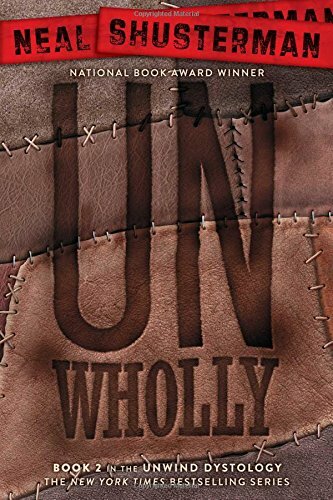 The book she chose, UnWholly by Neal Shusterman, is the second in the Unwind series. I think she nailed the character's voice and produced something they could stick on the back cover. Go kid! Since I'm co-hosting ISWG this week, I thought it best to combine posts today. 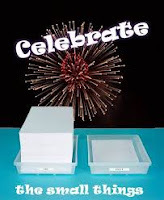 Usually CTST is a Friday blog hop. If you're here for just ISWG, you can skip this part, but you'll be missing some cool images. Our host for this weekly shindig is Lexa Cain with co-hosts: L.G. Keltner and Tonya Drecker. A couple of hops back I shared an image of a wacky sculpture my husband put together with kitchen trash. Due to quick and dirty writing, many readers thought my daughter was involved in the construction of this silly joke. In reality, she had nothing to do with it. Sedona is a talented artist and ordered suggested that I show some of her work. Yes, ma'am! The above image is self explanatory, but this next one is a picture of our two cats at Christmas as seen through a wreath of pine boughs and pinecones. 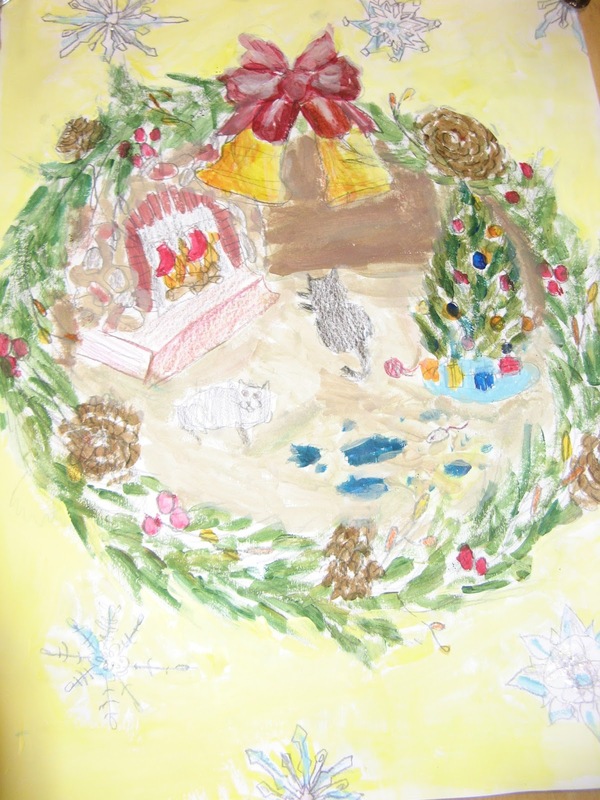 It's hard to see the details, but you may notice the stockings hung over a fireplace, a grey cat, a black cat, the Christmas tree, and torn bits of blue wrapping paper. The snowflakes around the edges are done in a glimmery paint. Next, we move on to mixed media including clay (the bird and weeds), rocks, styrofoam, moss, and more. This is actually two projects. The one in the back is a model of the Roman aqueduct constructed for Social Studies. The bird and waterfall in the foreground were just for fun. Finally, this is a wooden letter first painted and then decorated in pen. The T is for my name. This was a birthday gift. If you do the Instagram thing, you can find more and better pictures of her art at Creative_Cat444. Have you heard of the Unwind series? Are you the only writer in your family? Have you ever posted something that annoyed a family member? Dable in the arts? She is indeed really creative! Keep encouraging her. Yes for creativity! I love watching how each kid develops differently and how their unique talents come to light. It's so cool how she's working with all those different mediums. She is talented! I will look for the instagram account. Loved seeing these pics! Sounds like your daughter nailed it! Good job! Those To Do Lists will be the deaths of all of us! I like the wooden T - such a nice birthday gift! Your daughter is very talented. I need to check out this book. It sounds like an intriguing story. I'm always looking for something different. I feel the same way. I've got enough current works in progress without digging up old stuff. Your daughter is talented! Painting is a challenge for me, detailed parts are where I really struggle, but in writing I'm so long in the tooth with details that I have to pull them out later. Thanks for co-hosting this month. Your daughter is so talented! Love her writing and the mixed media art. I haven't heard of the Unwind series...so many books to read... sigh. Very talented kid indeed! I was an art teacher for ten years. I miss that part of my life, but writing has me hooked for good! If you and I were to have a contest about who was worst with bad habits, I think I'd probably win. Not good for me, but I hear what you're saying. I don't know that I've annoyed any family members with anything I've posted, but I've certainly annoyed more than a few people with things I've posted. My family members rarely if ever read anything I post. When she was still living, my mother was one of my most faithful readers, but that was about it. Except for my cousin Tom who regularly reads my blog posts and then comments on Facebook. That's kind of cool and I haven't seen him for maybe 40 or 50 years. Your daughter has the literary muse within her. That is so cool. 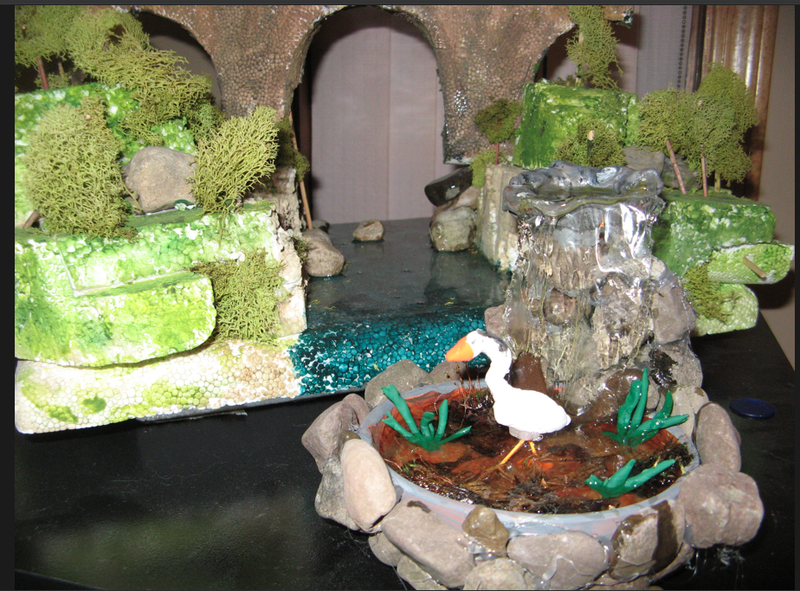 I love the dioramas. Those are beautiful. I used to love making those. No, first encounter with the unwind series. Sounds interesting. Yes, I am the only writer in my family, but not the only voracious reader. No, have not posted something annoying to family as far as I know. Yes I love sketching and have often wanted to learn to paint--did paint by numbers when I was a kid with paint. The art I thought was great. Sedona is very talented. Well, she is talented. Good grief. I assume she has her own website? Writing is hard, Tamara--even revising. Congrats to your daughter for her good writing. And I love the artwork. Wish I could draw or sculpt or paint. Thanks for co-hosting IWSG's question for March. All best to you. My daughter is a much better writer than me though she's not published yet. I expect her to be very successful one day. Your daughter did a good job there. She has me interested. You seem to be in the minority for not reworking old pieces – but if you're really short of time then it's perfectly understandable. Very cool artwork. I was all about art when I was younger and sometimes I still dabble with my crafting. You've been very busy creating! Great stuff, Tamara. 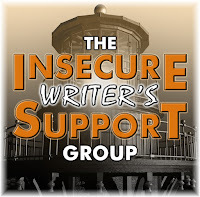 Thank you for co-hosting for IWSG. The excerpt you provided is interesting, you're nurturing some talent there! Thanks for co-hosting the IWSG today, Tamara. I have never heard of the Unwind series, but what a great journal/book review project your daughter wrote. It's a fascinating premise! I am not the only writer in my family. My youngest sister has two books published; my next youngest sister has the draft of a fantasy book and other things languishing in a drawer somewhere (way too demanding a job currently), and my only brother is a dedicated journalist who hasn't missed a day of writing since the lated 1960s. I'm adding that Unwinding series to my list of books I want to read. thanks for the tip! Have a good day! So cool to have a daughter who writes as well! I'm the only author in my family, but I'm trying to convince them all to join me, lol! Your daughter's definitely talented! I'm the only writer, but my husband is a stand-up comedian so he does write jokes. We'll usually have what we call "writing time" and I'll help him with his wording if I can. Writing is best when you have someone who can do it with you. 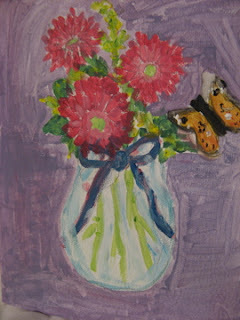 Your daughter is a very talented young lady, both with words and with art. You should be very proud of her. One of my granddaughters is an aspiring writer. She did quite a bit of writing before she graduated, but I don't know if she's still pursuing it. I hope she gets back to it some day. Wowzers! Your daughter has the gift. She grabbed and held my attention. I bet you're one proud mama. Thank you for co-hosting! No, I have not heard of the Unwind series. I'm probably the only official writer in my family, although my brother writes (unproduced) screenplays and his wife is dipping her toe into the writing waters again. Thanks for co-hosting this month. Sedona is quite talented and creative. I've never heard of the Unwind series, but now I'm curious. I'm currently the only writer in my family, but my niece will soon change that. Have I ever posted something that annoyed a family member? Probably. I love to paint. I'm not any good at it, but I love it. I also enjoy drawing, which I'm much better at. Thanks for co-hosting, Tamara. Your daughter is definitely multi-talented. I like her art projects and I absolutely love her writing excerpt. Strong, mature, and emotional. Obviously a budding writer. My mother used to be a writer, and still writes from time to time, but she gave up on the idea of being a novelist or published writer a long time ago. Much of my life, I've felt her often negative attitude towards my writing, and the things I chose to write about, were due to jealously and resentment because I never gave up on my dreams. It took years before she seemed to finally accept that I don't write short stories with a contemporary setting like she did, and that I always gravitated towards the long form over short stories. She and my father also were horrified by what they read of my Atlantic City books (never from the start, to provide context), and didn't understand they're meant as spoofs and satire, not straight historicals. Many of the things are intended as very dark comedy and things so deliberately over the top they're meant to be funny, like American Dad or Family Guy. Sounds like your daughter has a range of talents. Congratulations! Thanks for co-hosting this month's IWSG tour. I'm not familiar with the Unwind series, but definitely intrigued after reading this. I have dabbled in oil painting, fabric art, and acrylics. I probably have posted something that would annoy a family member, but since none of them read my blog, no worries! Your daughter has a great sense of color and whimsy! I've heard of Unwind, but didn't read it. I still liked the POV narrative though. You have a daughter who's both clever and artistic! Awesome that your daughter likes to write. Thanks for being a co-host. You have a talented daughter! 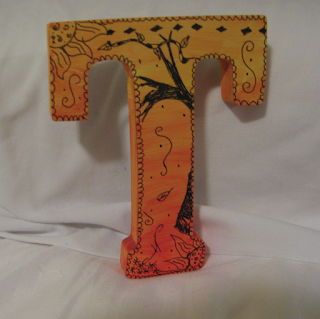 Love the letter T.
Your daughter is talented in many creative areas. Bet you are proud. Congratulations to your daughter! Creativity and writing does seem to run in the family. :-) I hear you about being too busy with new and current projects, heaps of ideas, never-ending possibilities and having way too many other things to do than rework stories. It is on my list, but quite low as of now... Thanks for co-hosting! Wow! I forgot I was even reading something that wasn't supposed to be in that book! (I've never read the book, so it was easy to fool me.) She is a natural. Wonderful pictures. Thanks for sharing them. I haven't heard of that series before. 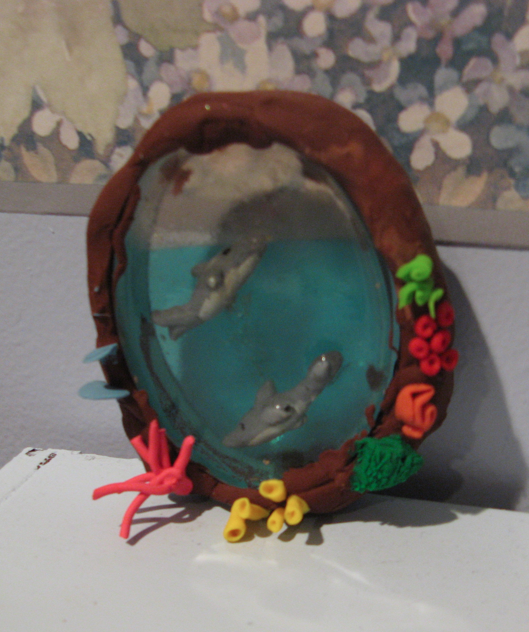 I really love the one with the dolphins Sedona made! This is a nice collection, all different too. She did well! Wow! Your daughter has some mad artistic skillz! She and my daughter would get along famously! ;) My favorite is the mixed media ones - plus I love the T she made for your birthday! Very cool! Have a great weekend! Good luck with finishing something of your own. :) Your daughter is doing a great job with her art. I really like the mixed media and clay pieces. Wow...look at your daughter GO! She has a very promising future. What a talented family! I DO sometimes go back to an old story, and I'm usually slightly embarrassed that I thought it was 'finished'. It's amazing what time away from a project can do to my perceptions. I don't recall hearing of the Unwind series- but your daughter seemed to do a good job with her piece. I agree that finishing writing can be a bit of a challenge. If I didn't have a co-author I don't think I would have finished anything yet. :) Best of luck! What a multi-talented daughter! As a mother, you must be so proud of her...a great feeling, eh? 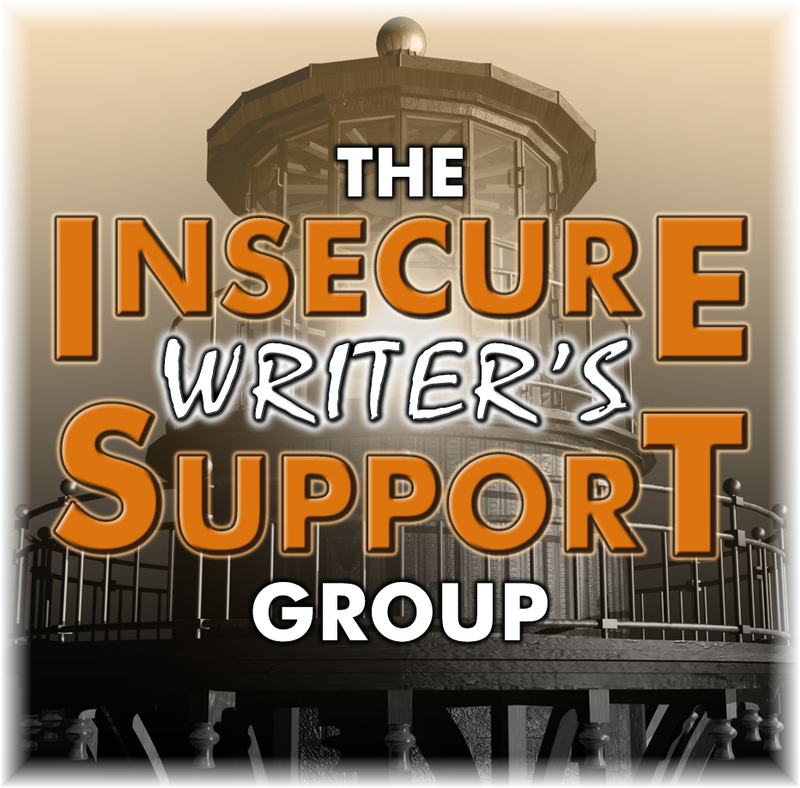 Thank you for co-hosting the IWSG this month, Tamara! Tamara, great you can pass your gift on to your kids. Best wishes to them moving forward for a smashing success! You have a talented daughter. Best wishes for her! Thanks for co-hosting! And what is that book?! I guess I'll have to pick it up now!